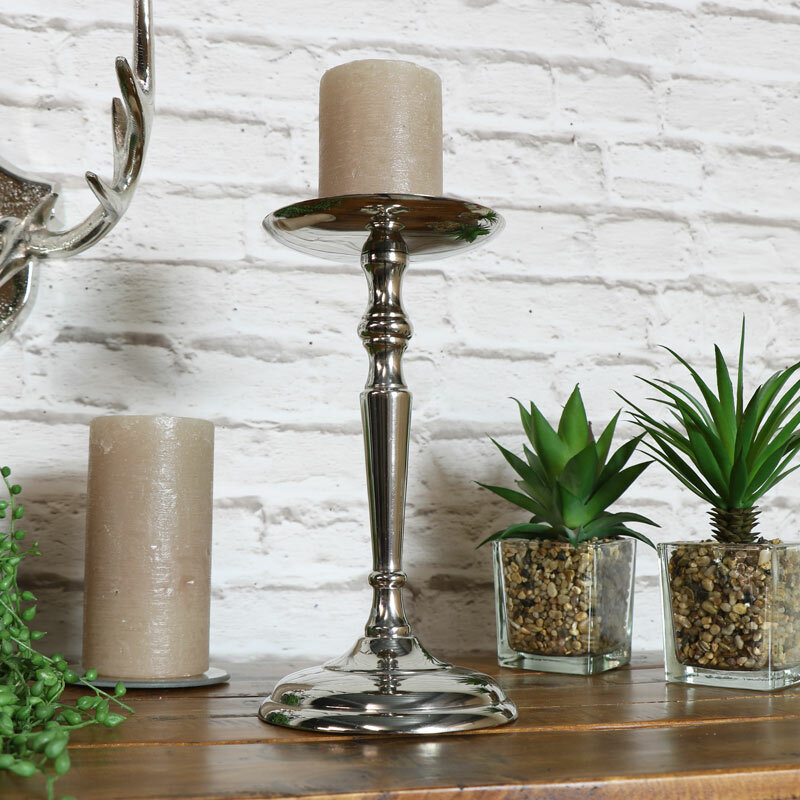 This gorgeous traditional candle holder will add some vintage elegance to your dining table. Perfect for adding a touch of glamour to your home and ideal for use as part of a wedding display. 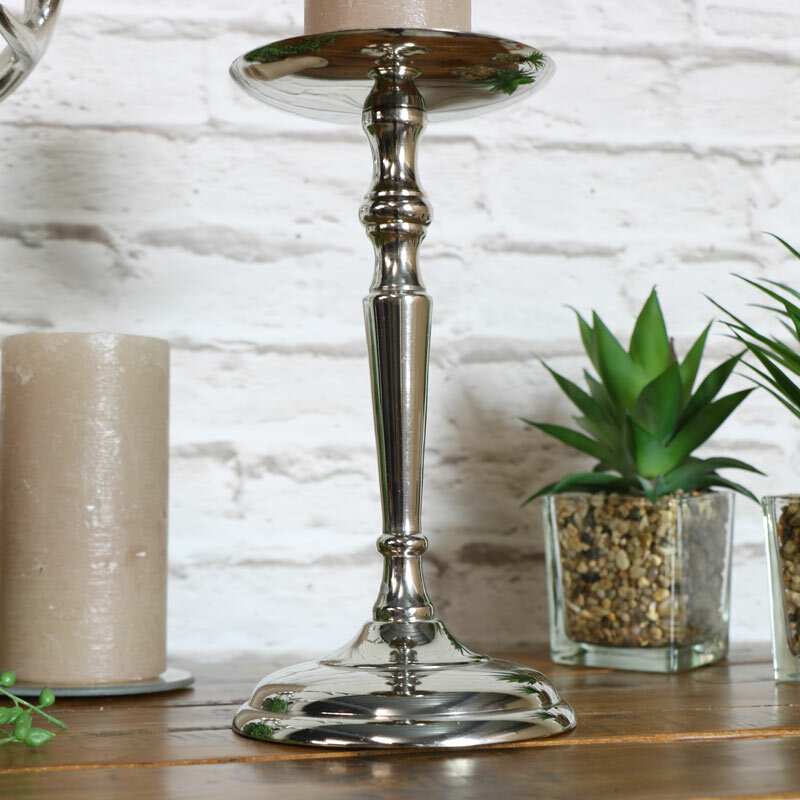 The candle is displayed on a round plate, this candlestick will add a stunning feature to any home decor. 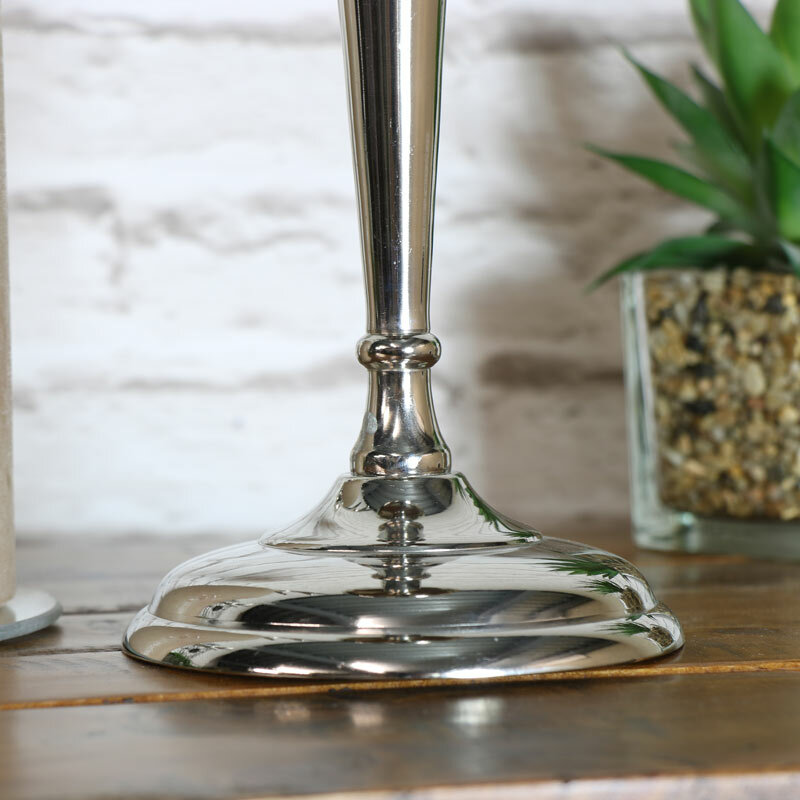 Create a stunning wedding or table display with a pair of these candle holders placed in a table centre or decorating a mantelpiece. Made from metal in a polished silver finish. This will easily hold a large pillar candle or tealight candle. We have a wonderful selection of candlesticks, candelabras a tealight holders for you to choose from. Whether they're just for decorative display or for creating a beautiful display for an event or wedding, we have something to suit every decor and style.